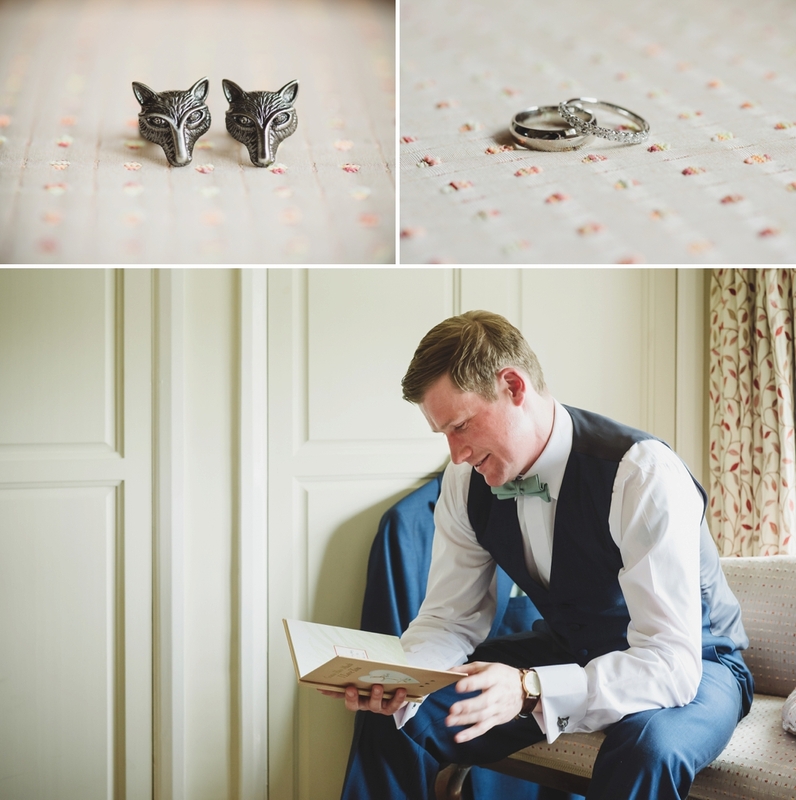 Sometimes as a wedding photographer you receive an enquiry which fills you with a certain kind of nervous excitement. 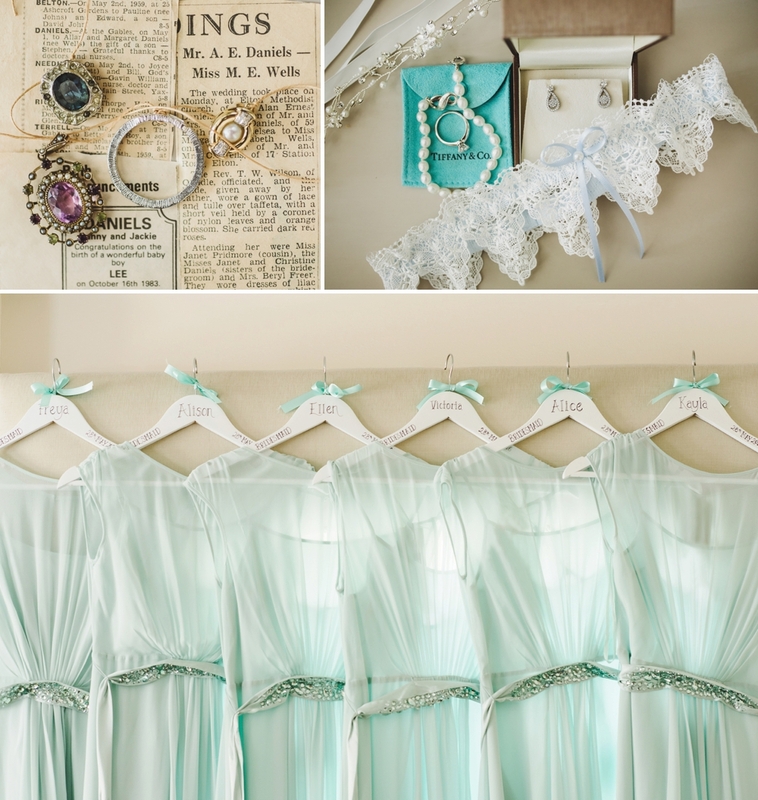 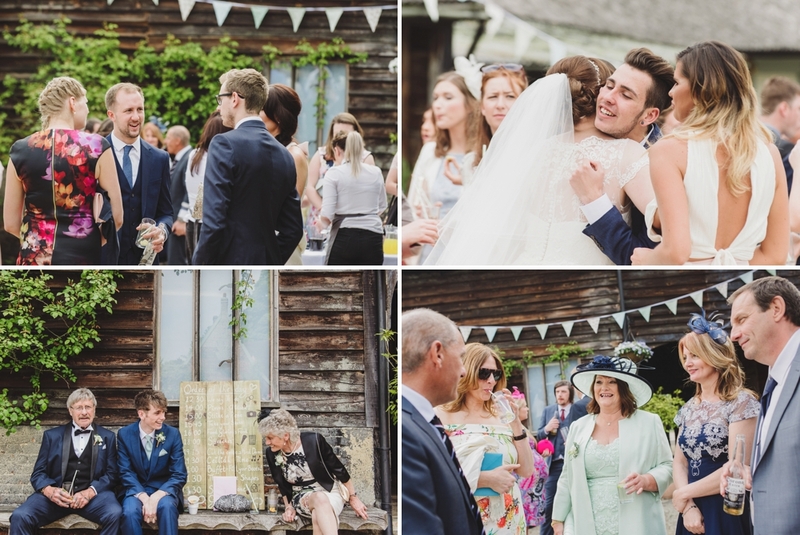 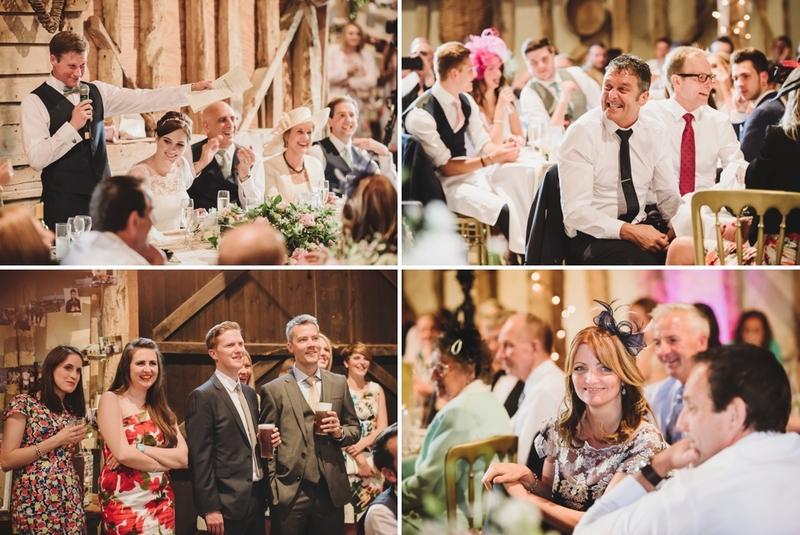 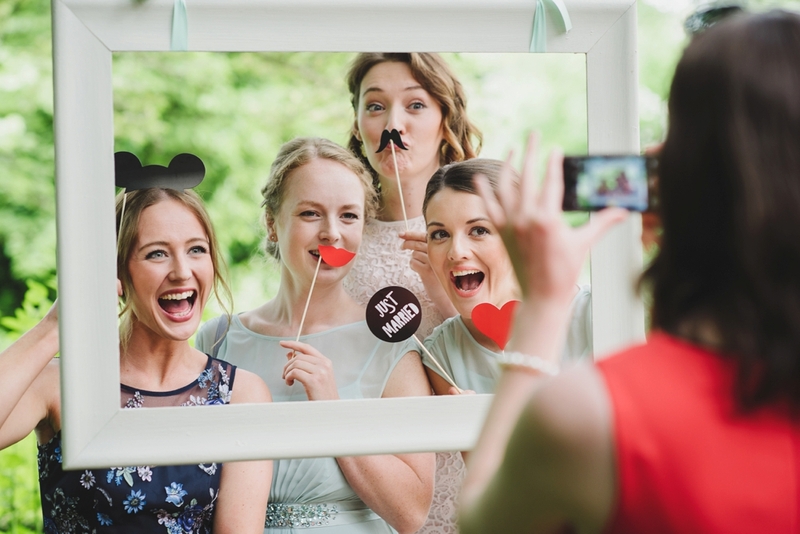 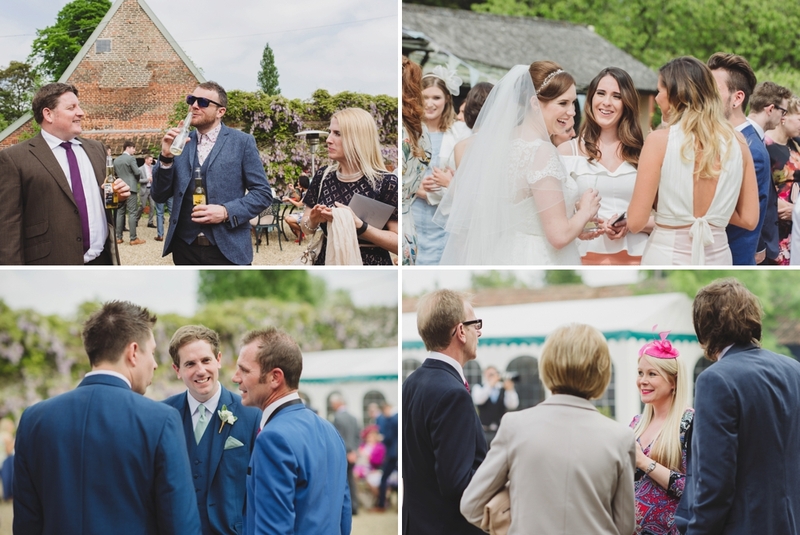 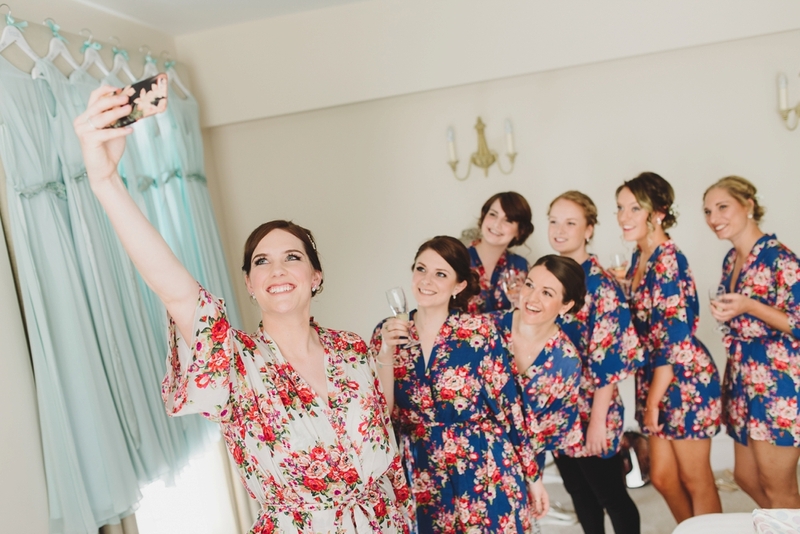 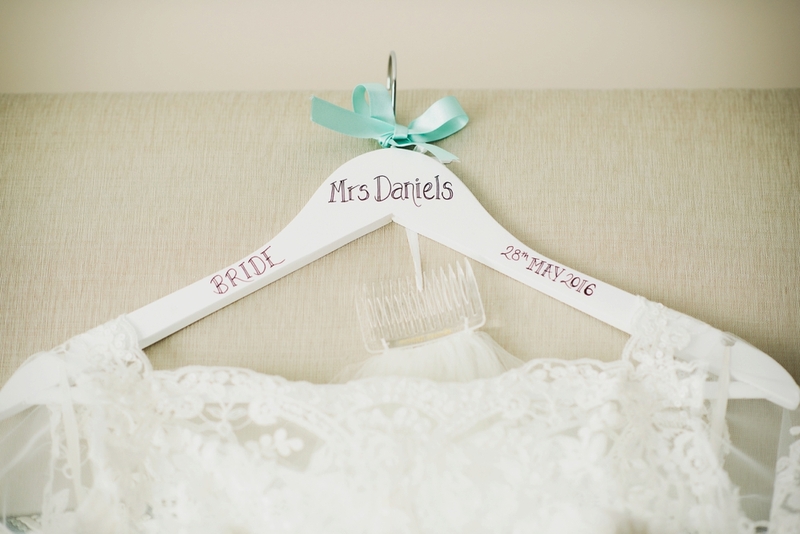 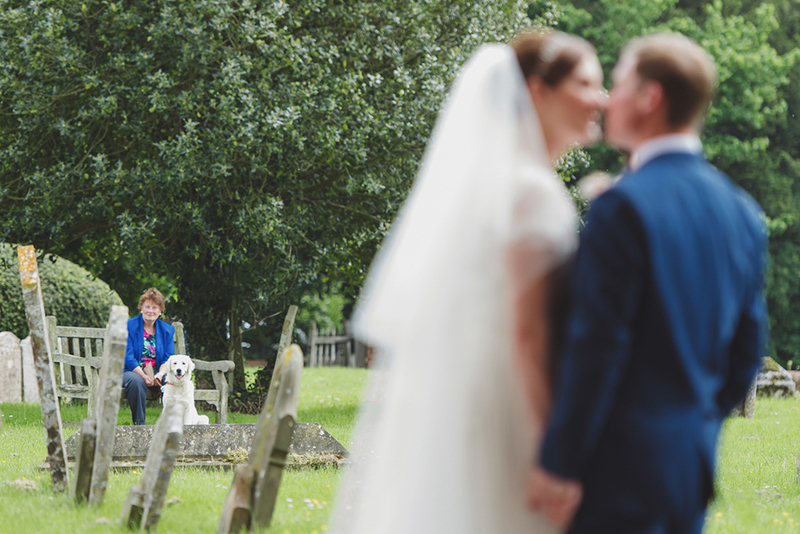 Yep, that’s the one… an enquiry from another wedding photographer! 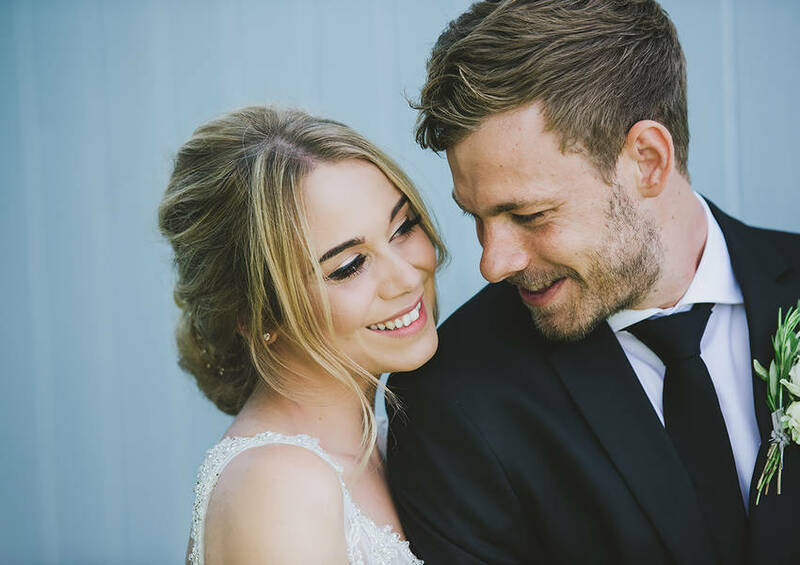 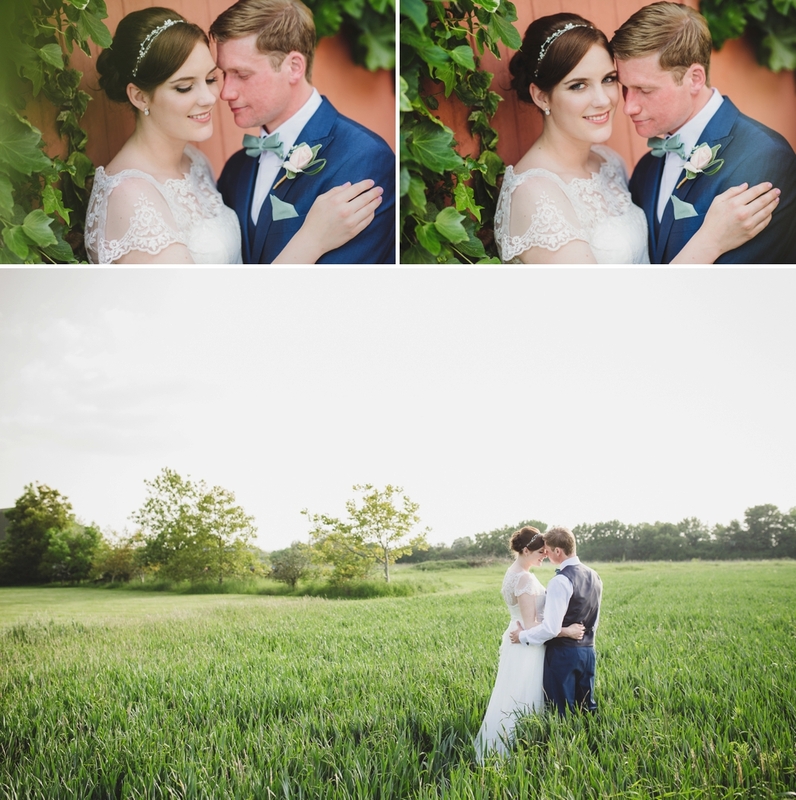 Lee and Grace asked me to shoot their wedding way back in 2014 and I must admit I was very flattered because Lee is a really, really good photographer. 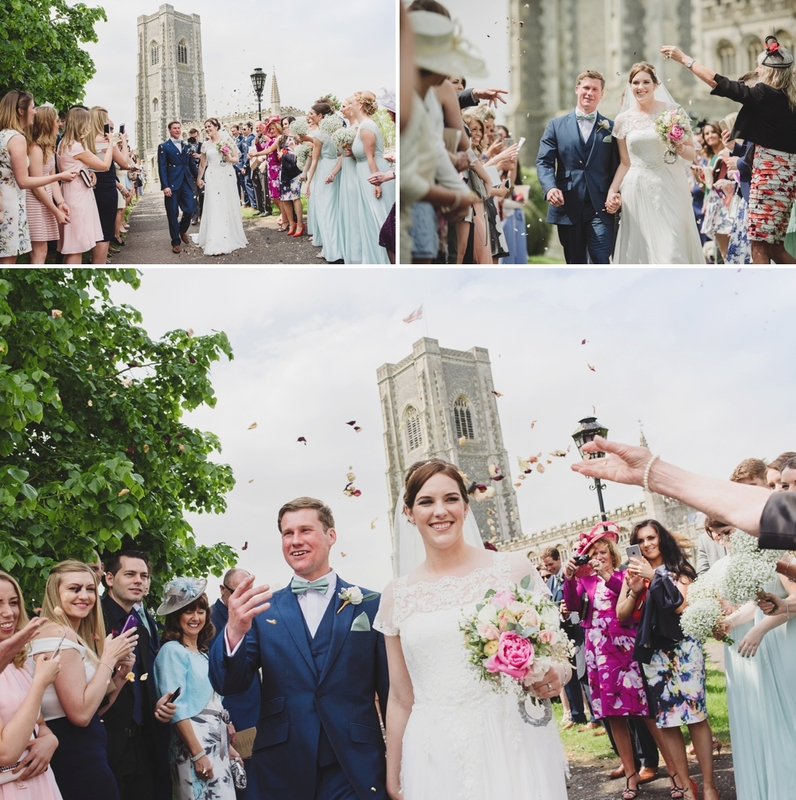 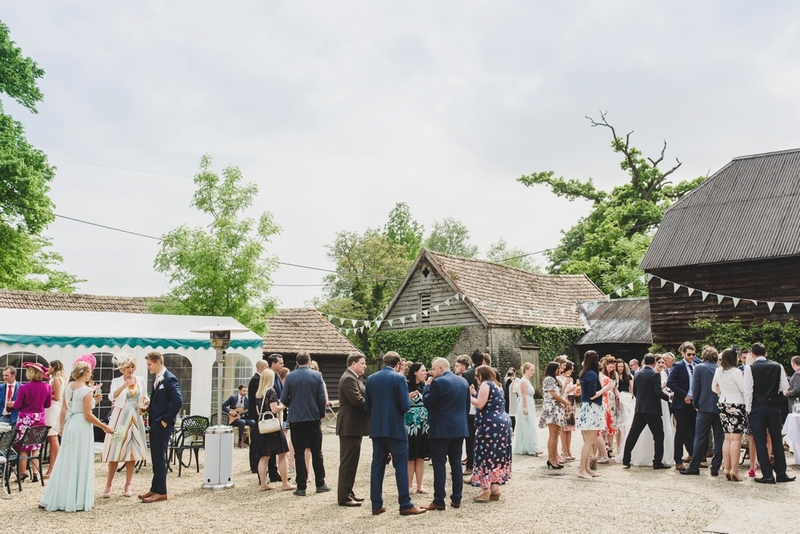 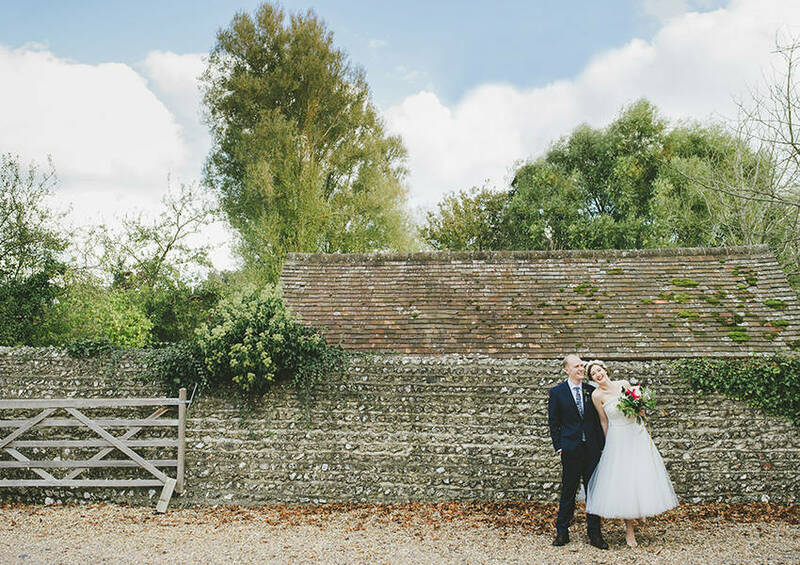 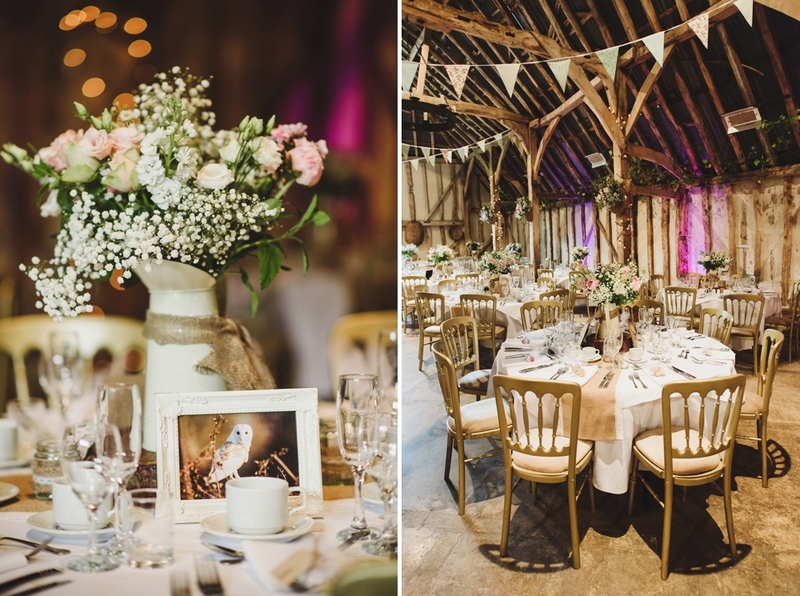 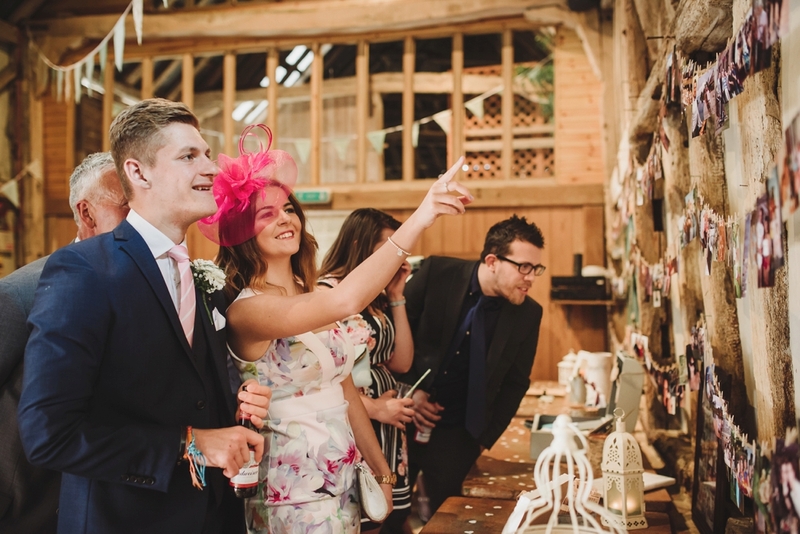 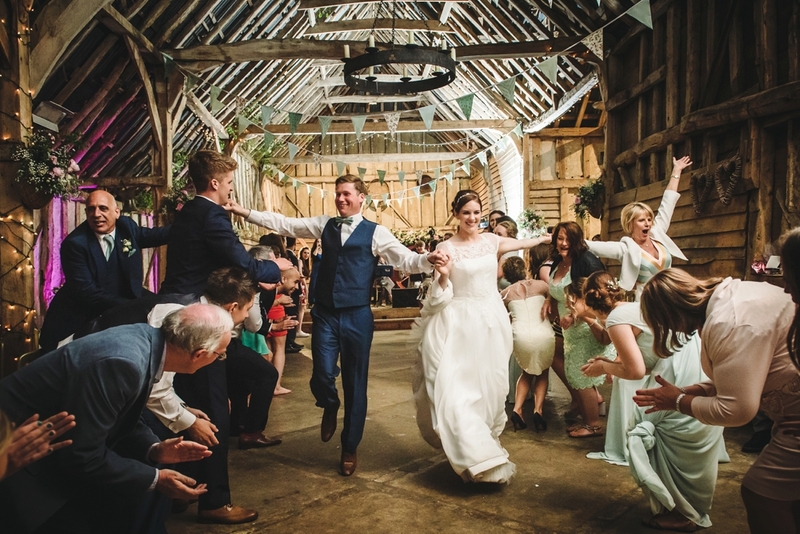 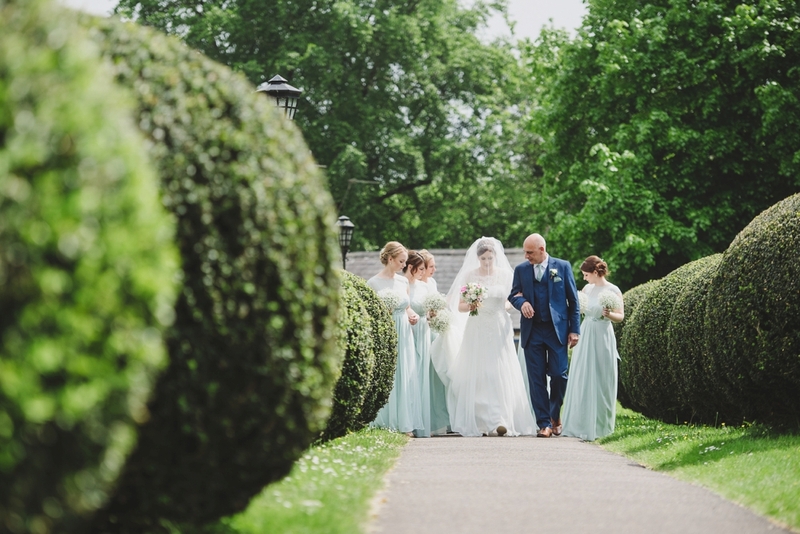 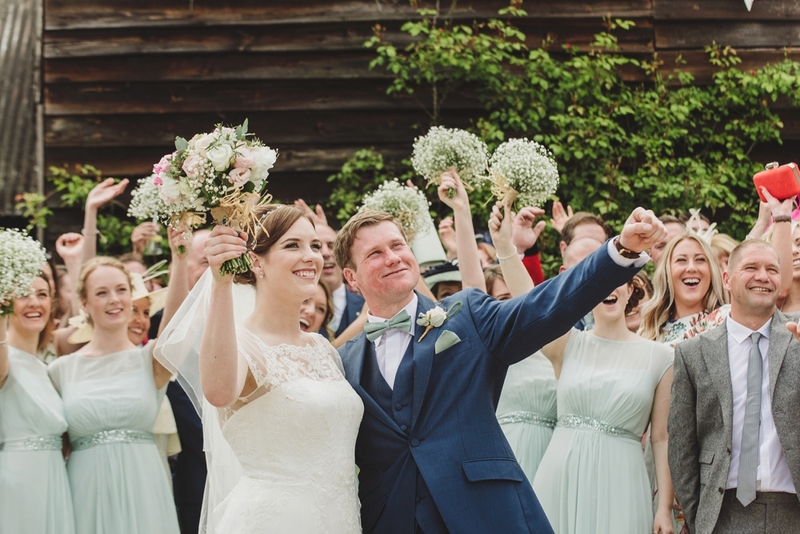 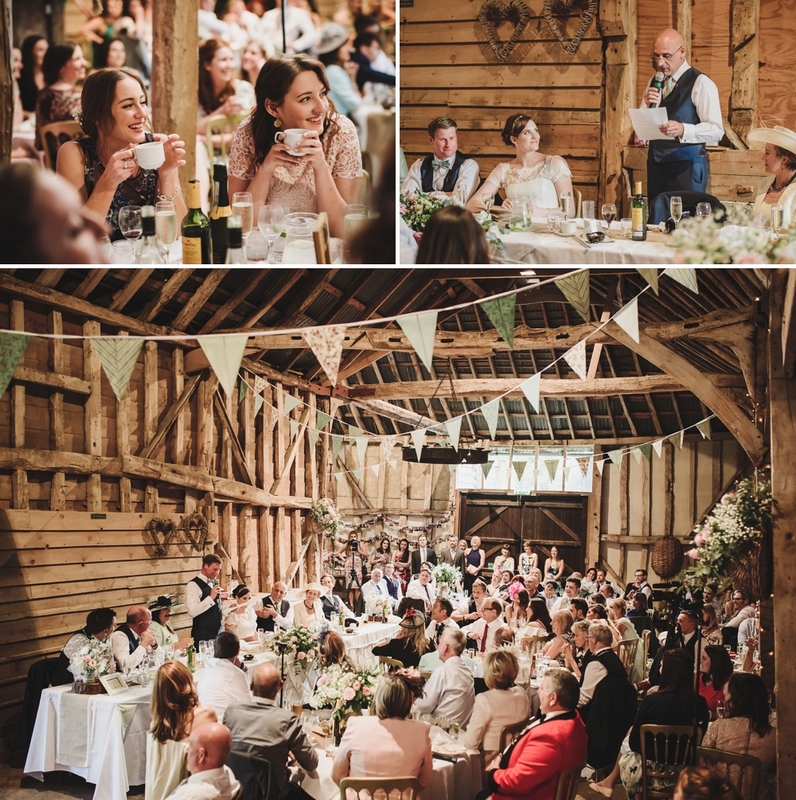 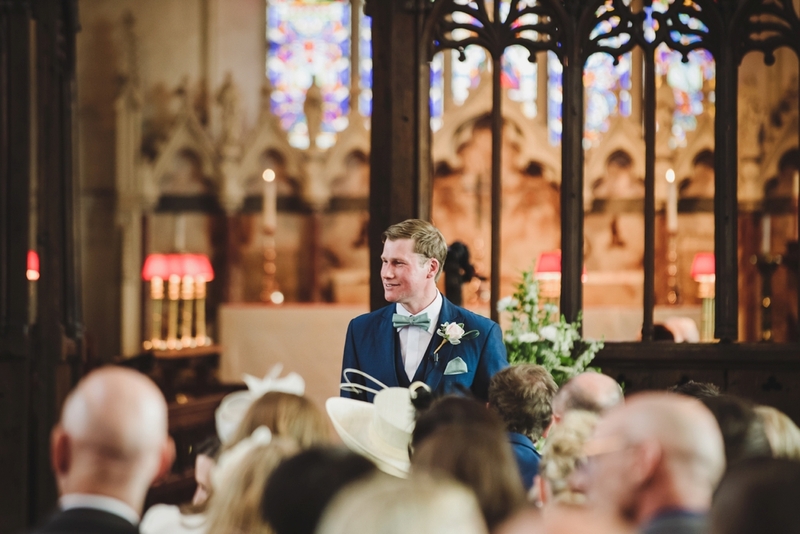 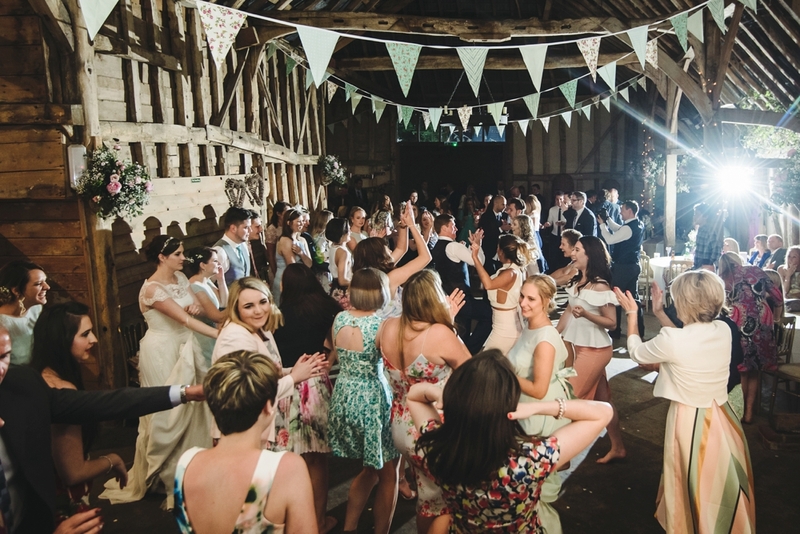 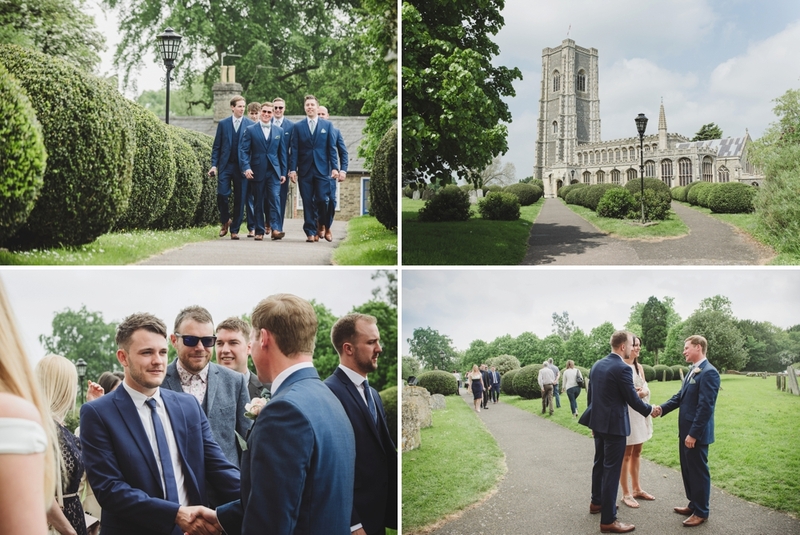 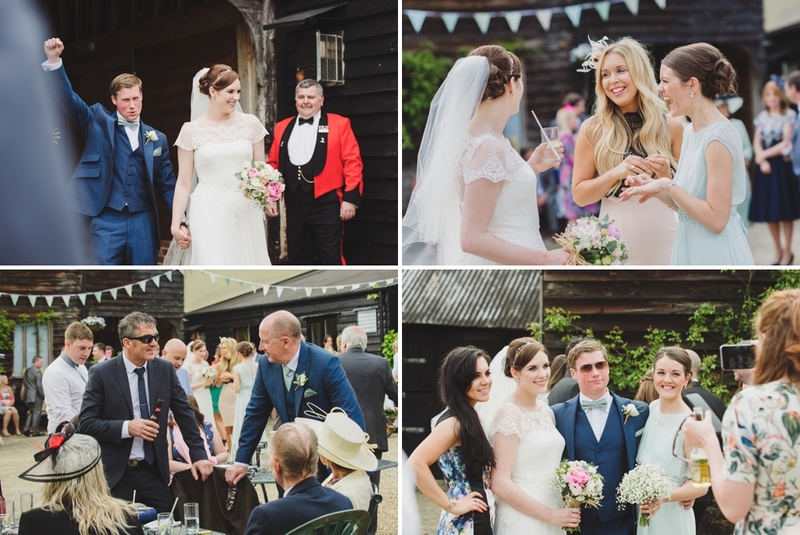 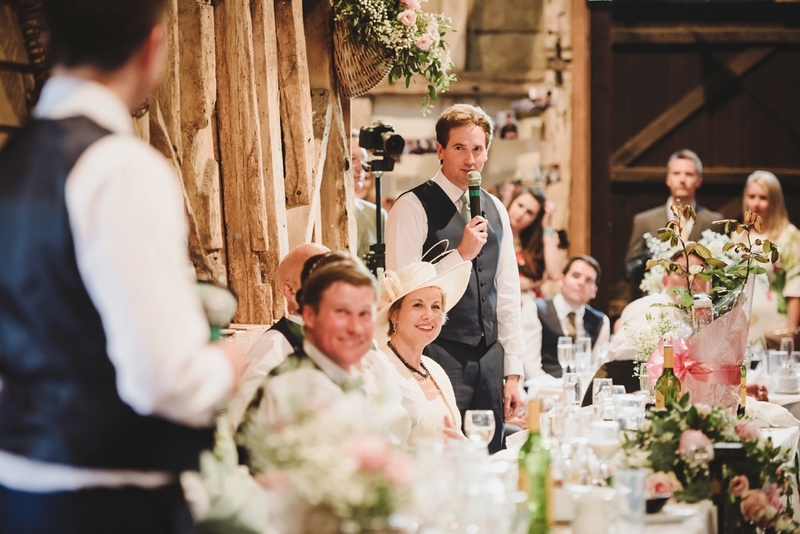 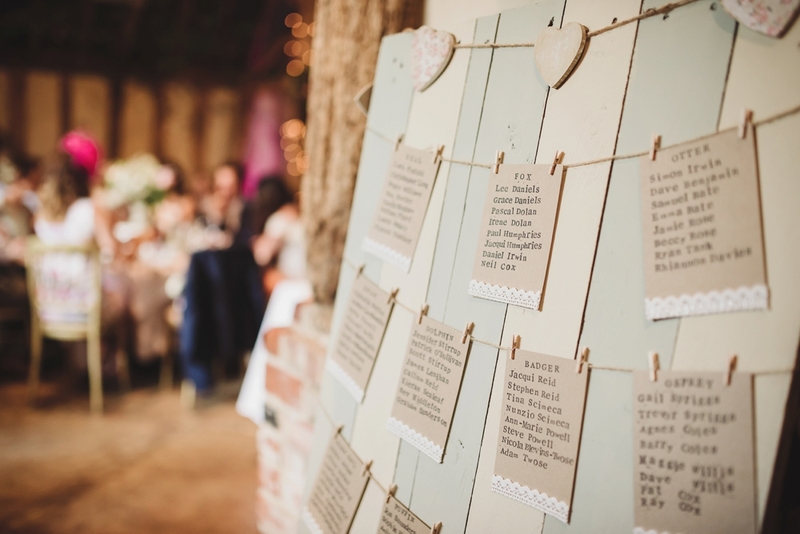 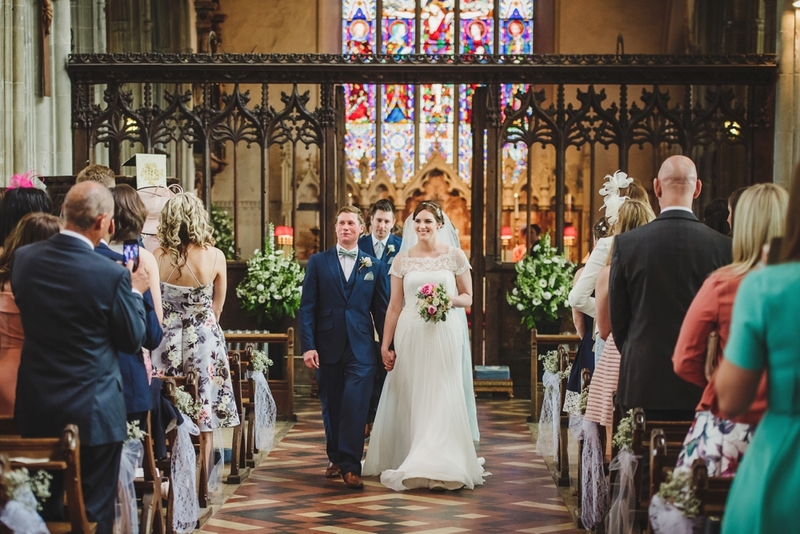 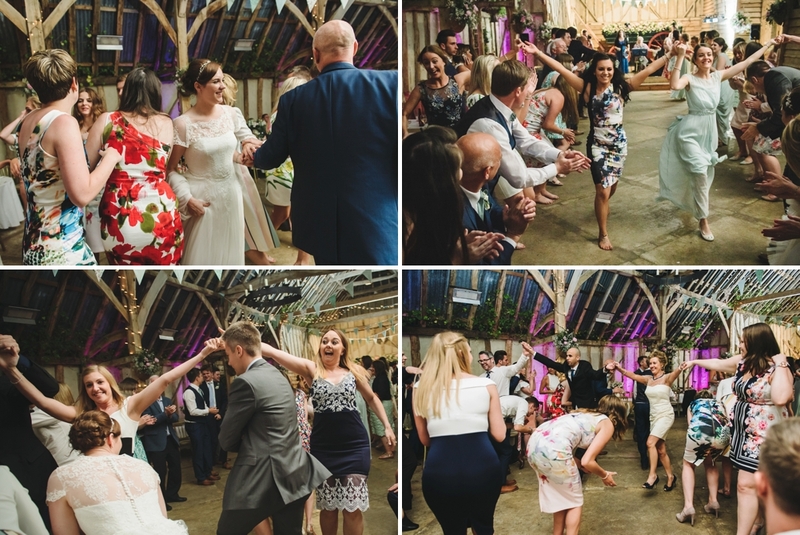 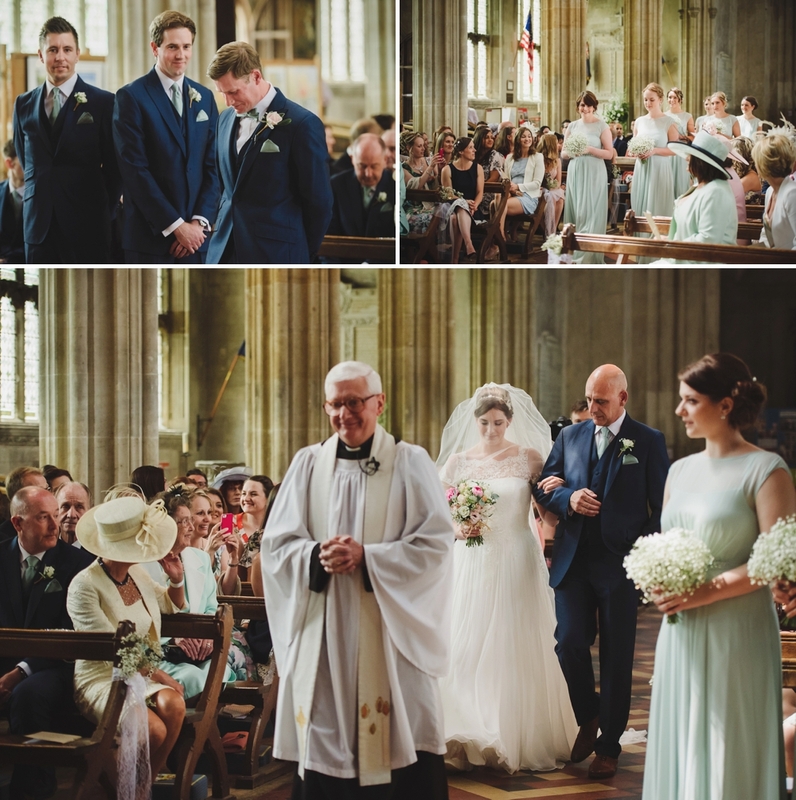 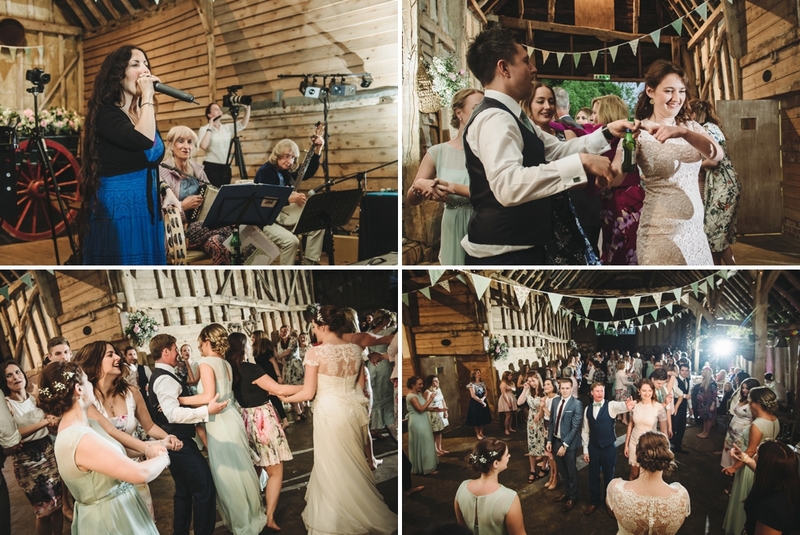 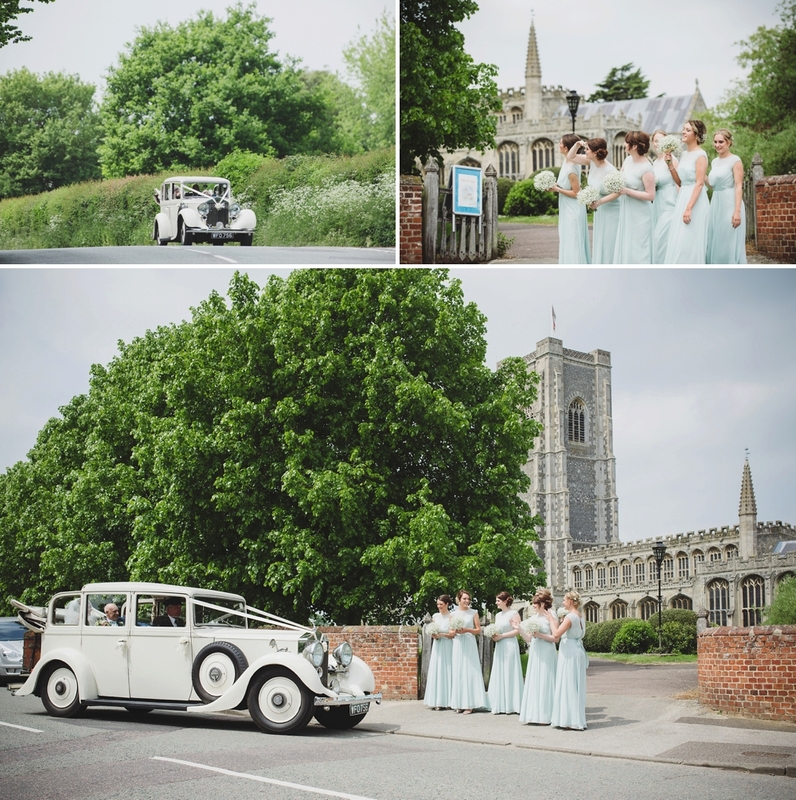 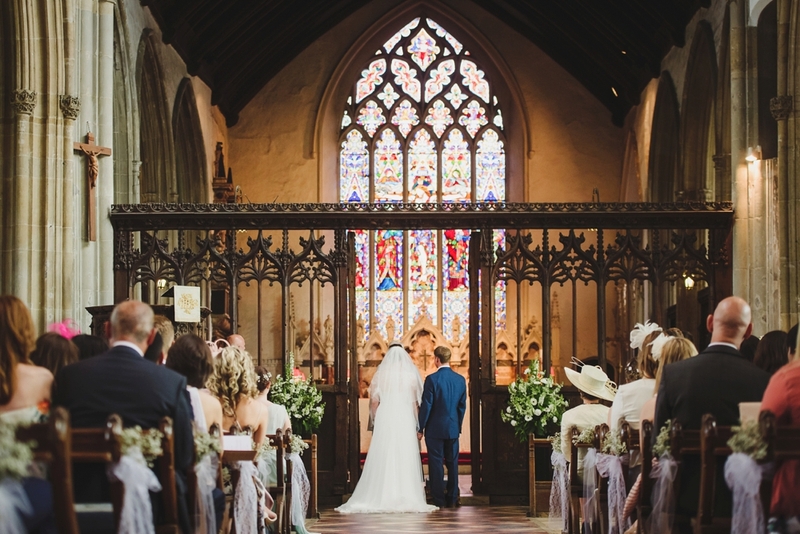 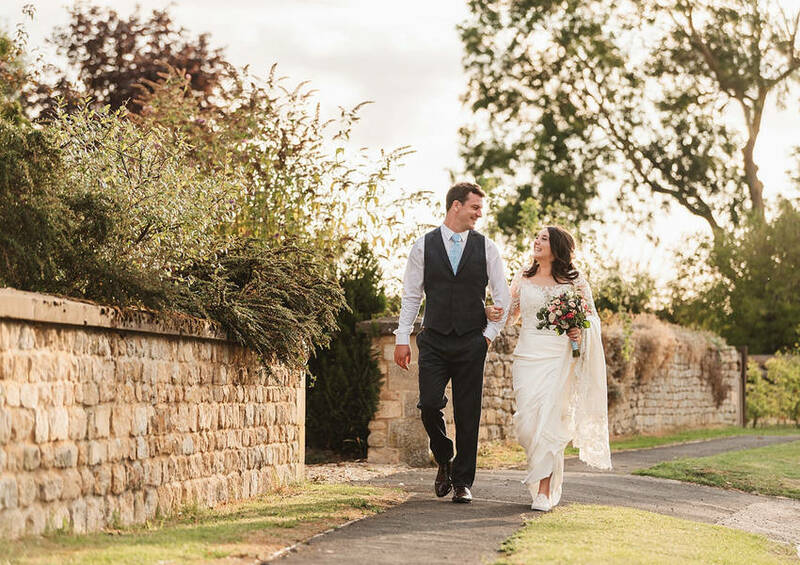 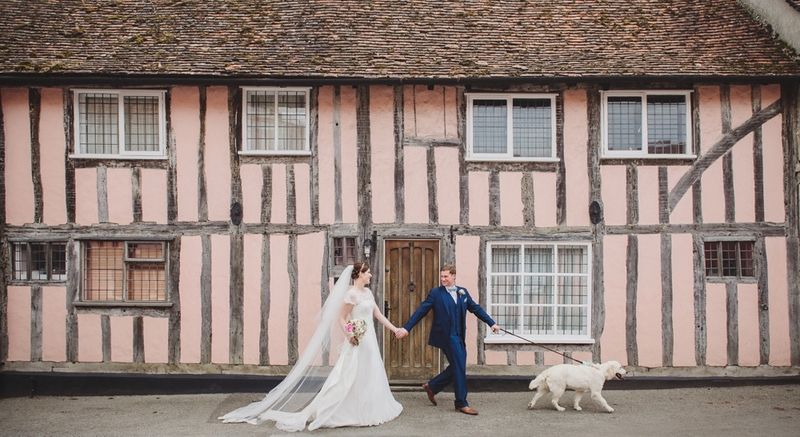 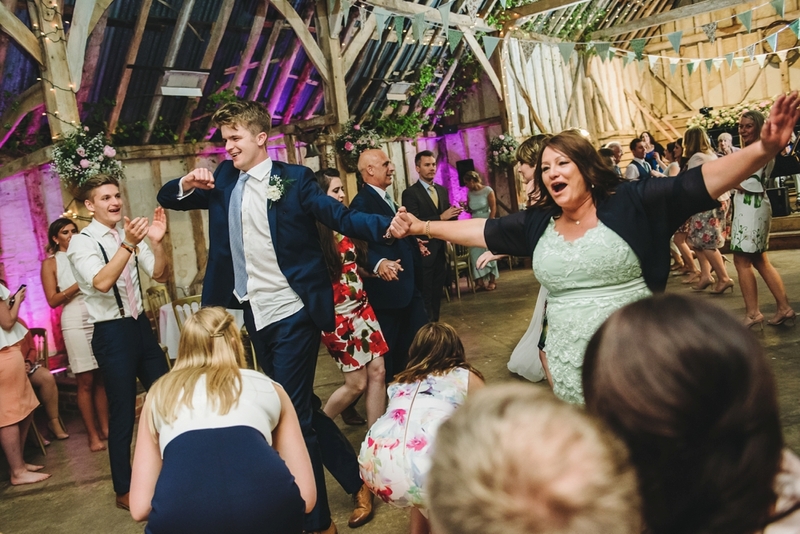 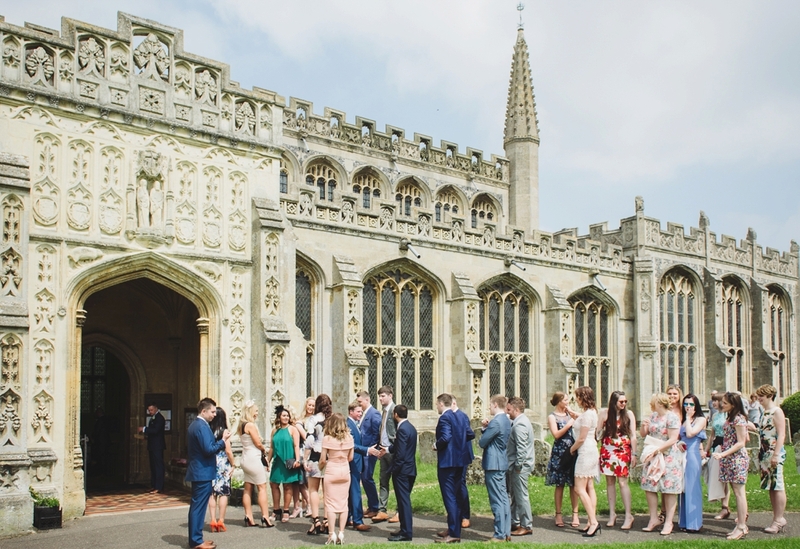 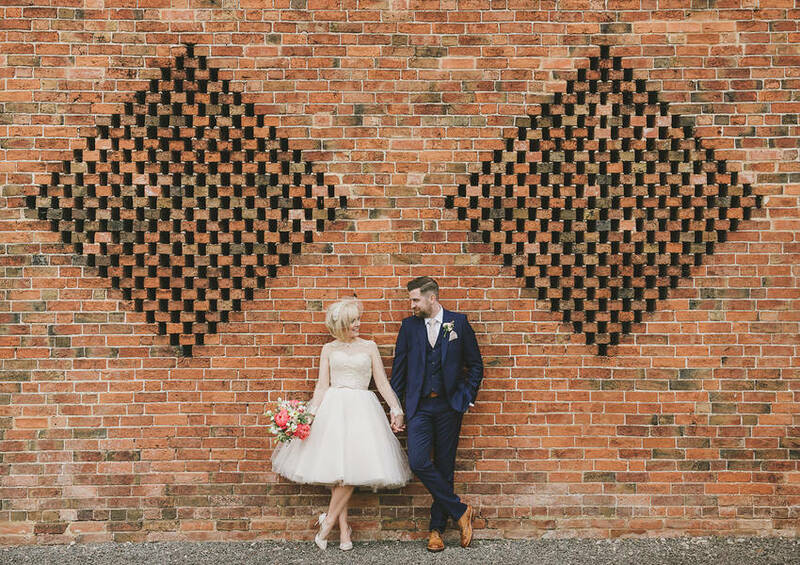 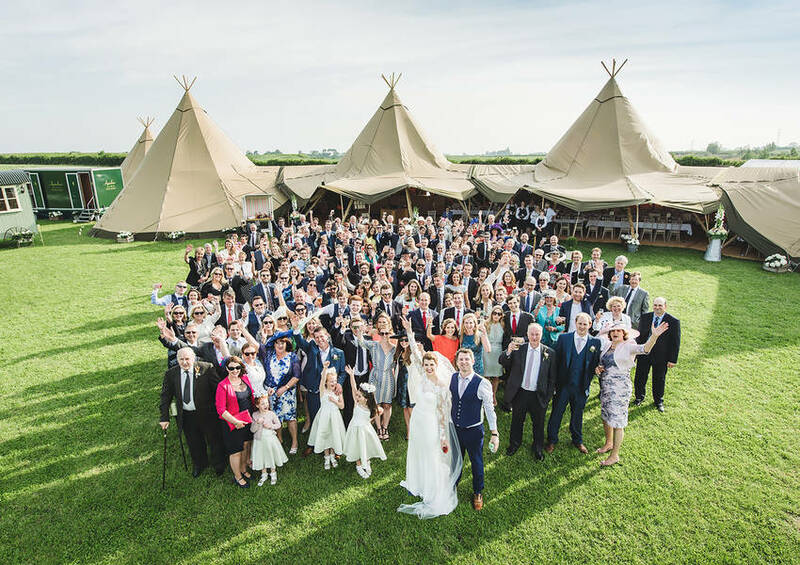 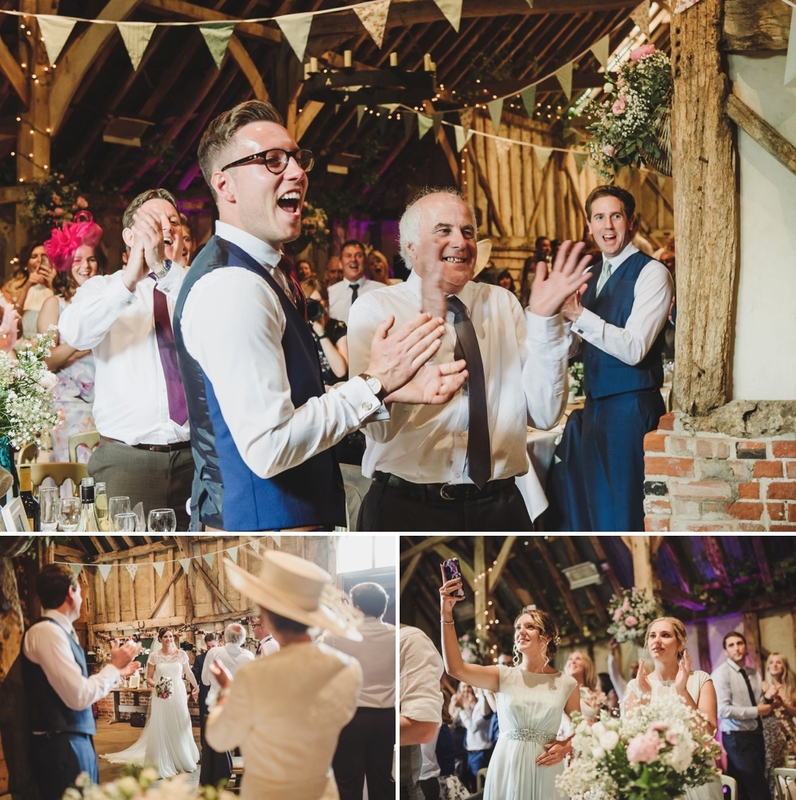 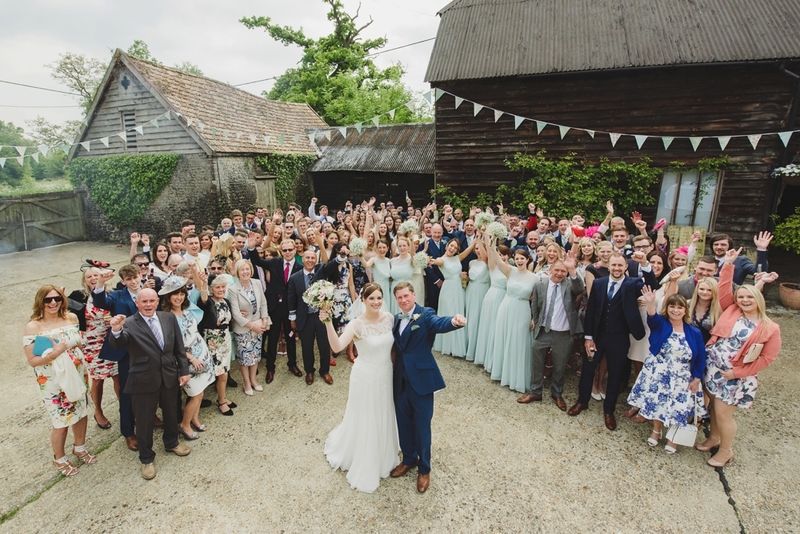 I was doubly excited because they chose the beautiful town of Lavenham for their church wedding and the nearby Preston Priory Barn for their reception. 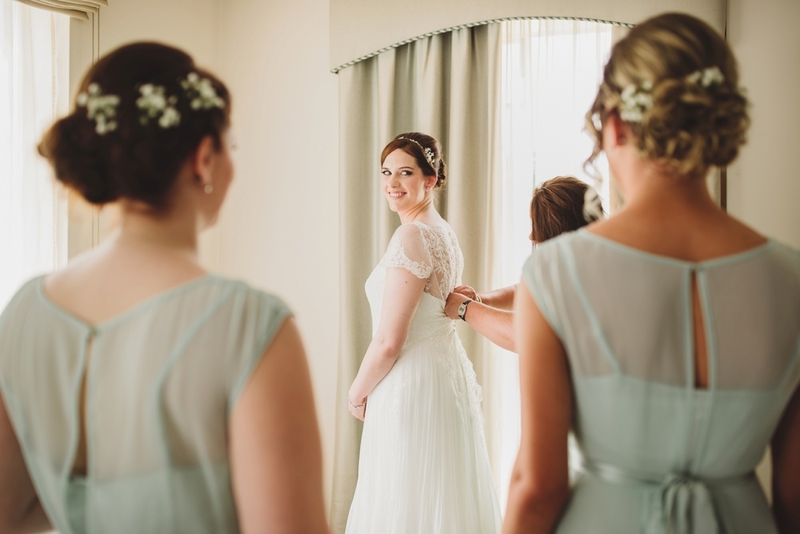 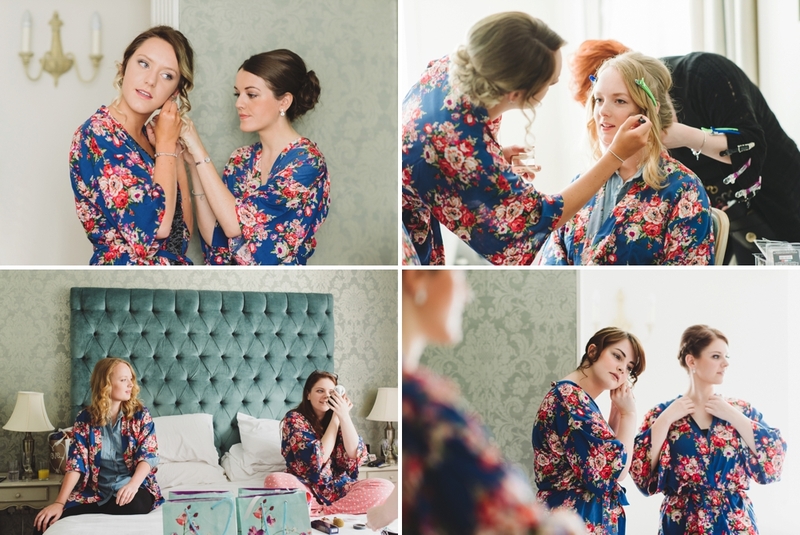 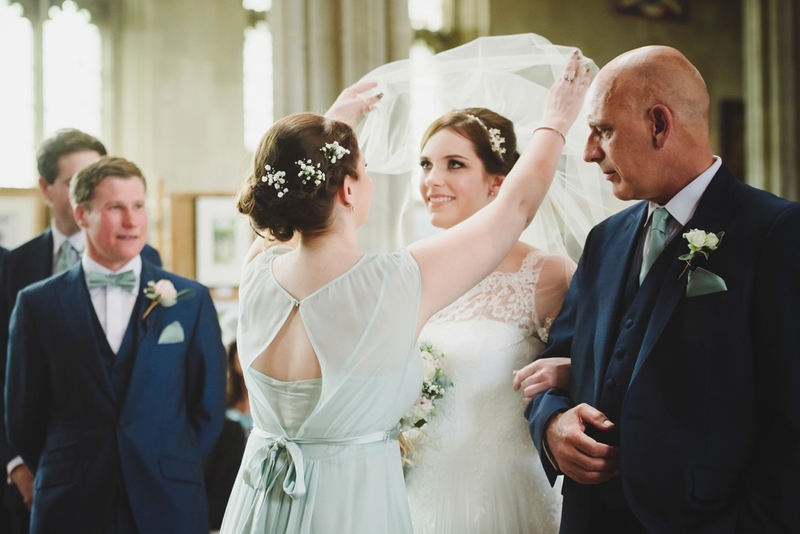 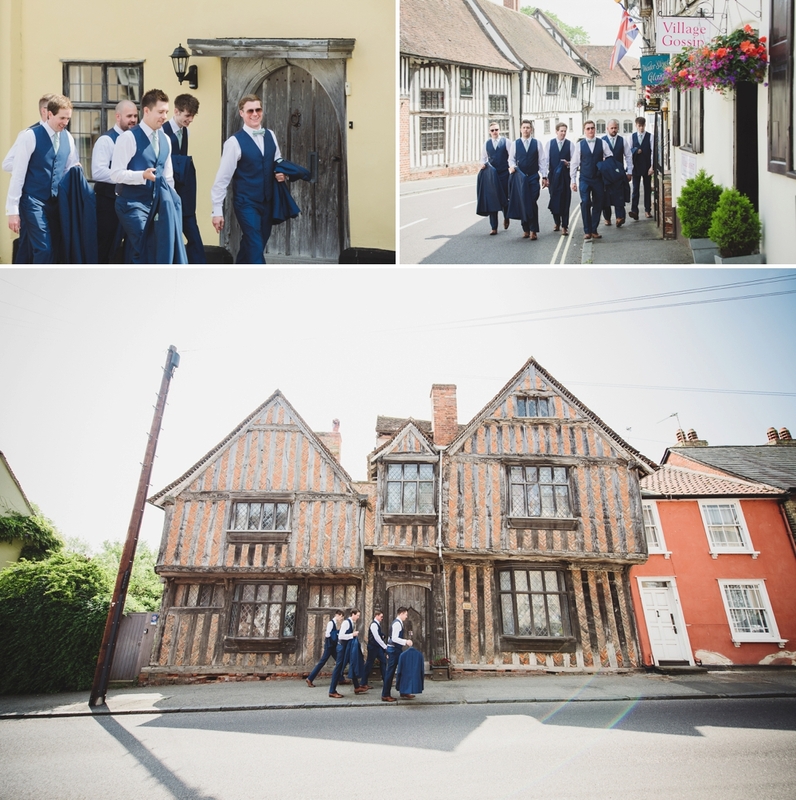 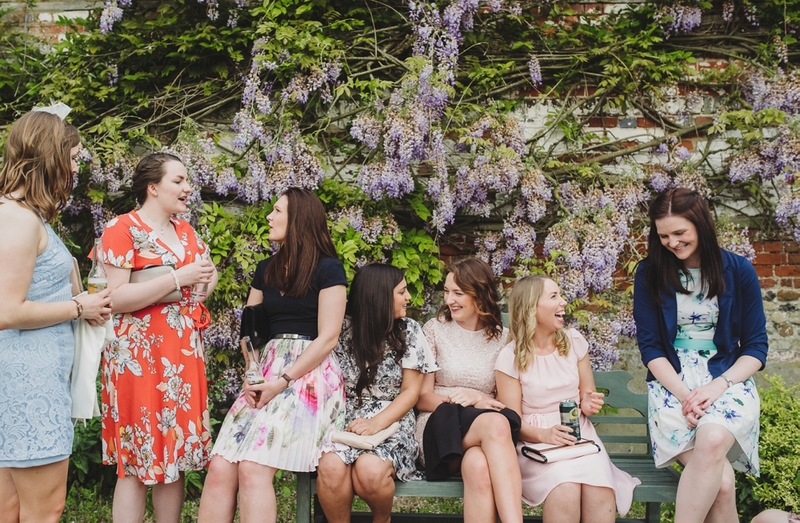 My day began in Sudbury photographing Grace and the girls getting ready while second shooter Sarah captured the boys getting ready in Lavenham. 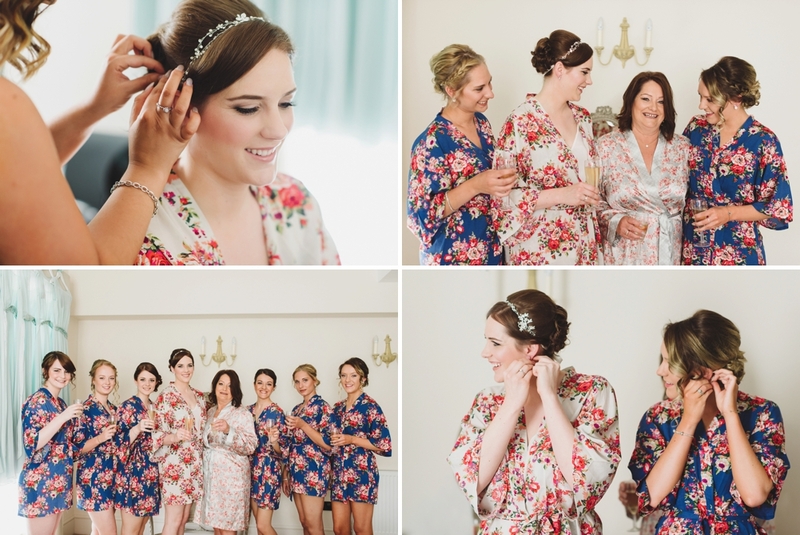 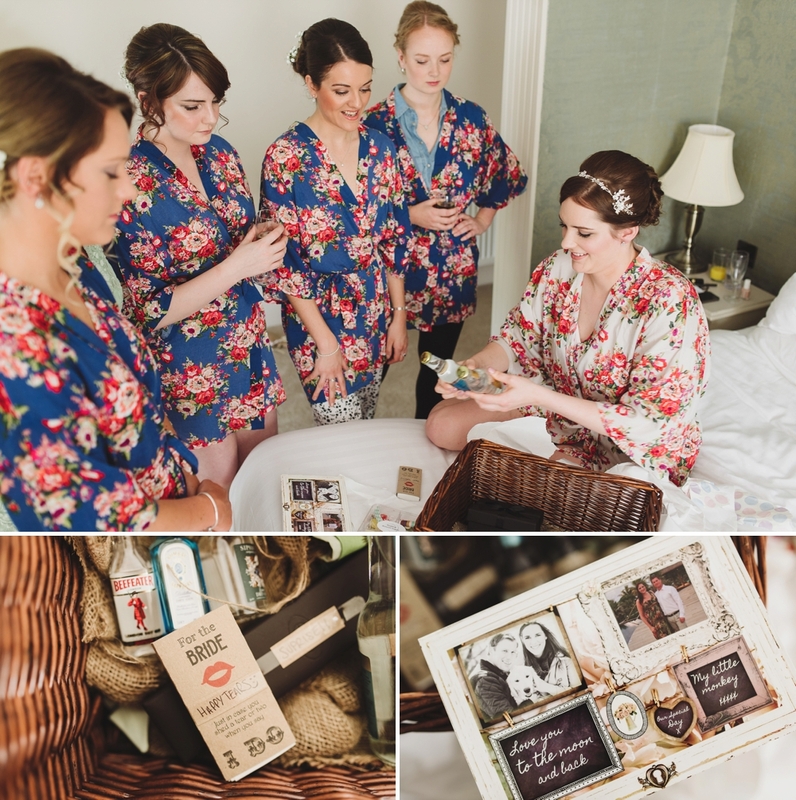 I loved how the girls all wore those pretty kimono dressing gowns, I think they looked pretty glam even before hair and makeup started actually! 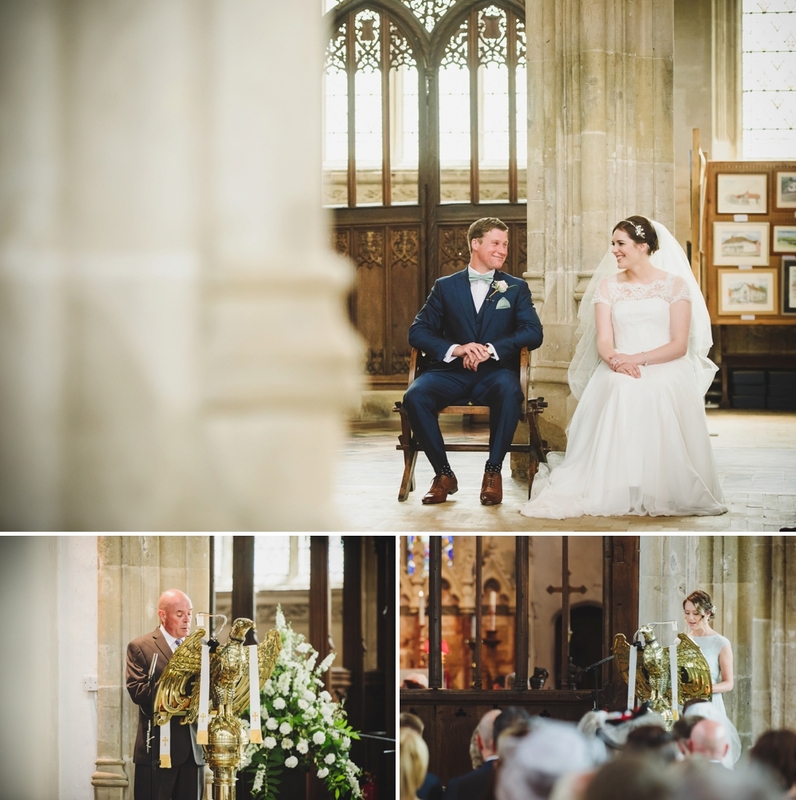 Like then village Lavenham church is pretty much choclocate-box perfect, and we were allowed to capture some discreet coverage during the ceremony too. 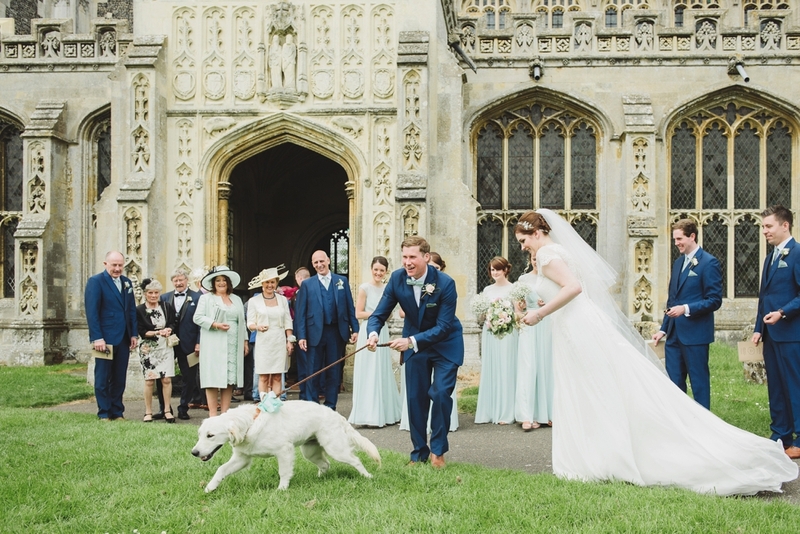 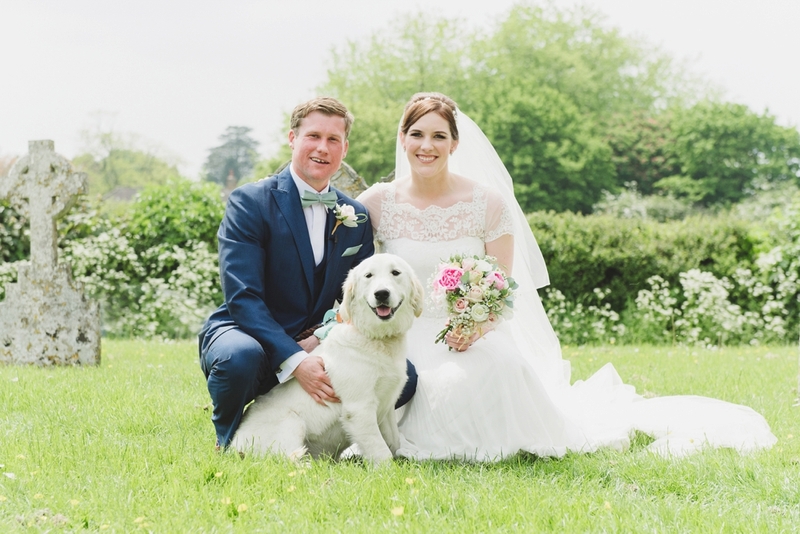 One of my favourite moments has got to be when Lee and Grace walked up the aisle and straight into the paws of their dog Winnie who had been waiting patiently outside. 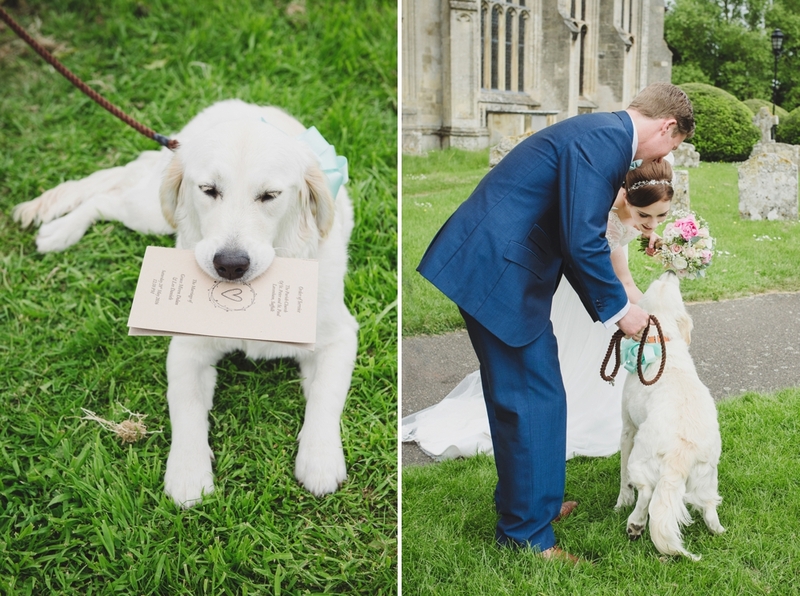 A dog at a wedding is always a good thing in my books! 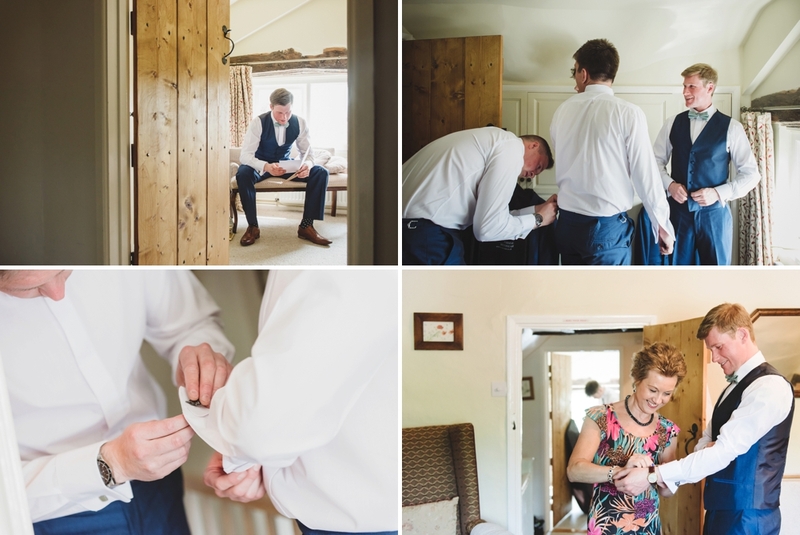 Understanding that you need to set aside lots of time for good photos Lee and Grace’s wedding felt really relaxed and un-pressured. 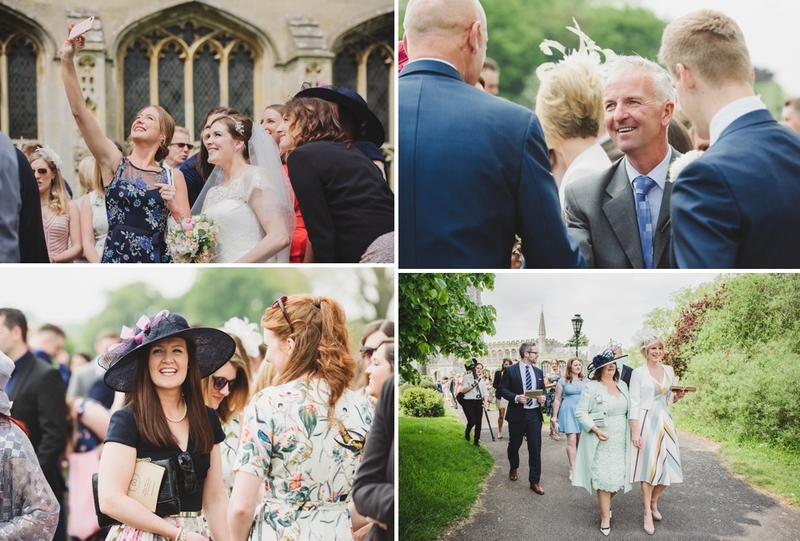 Guests soaked up the sunshine while we took time out for their couple and group photos, even doing a few more in the evening when the light was just right. 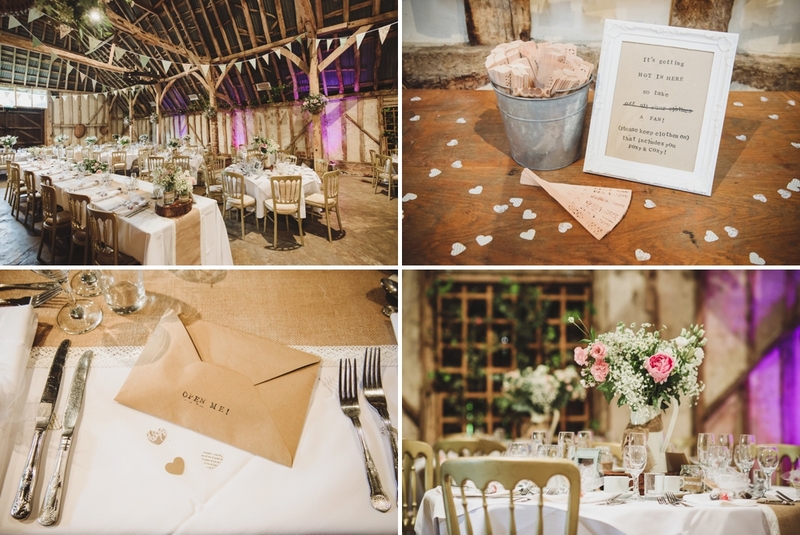 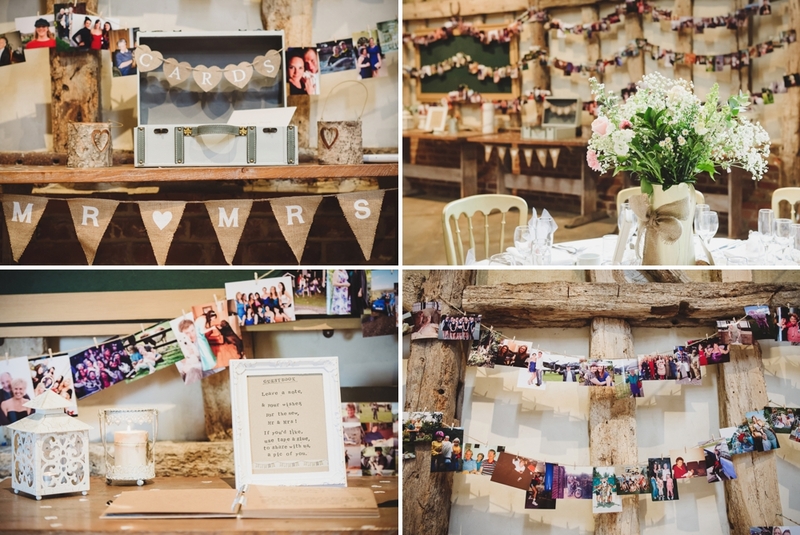 The barns made the perfect setting for their rustic-style wedding and and I’m sure you’ll agree that the way they decorated the venue was truly stunning. 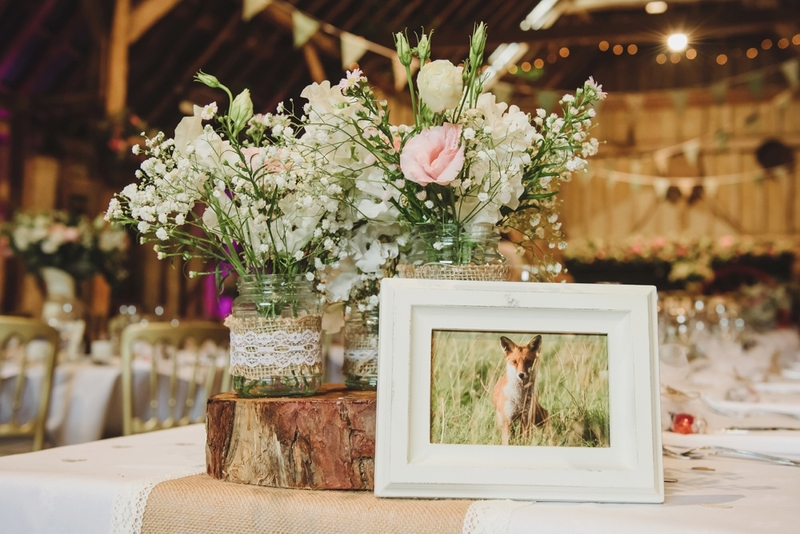 I should also mention that Lee is a really talented wildlife photographer and you can see his work adorning the tables in this blog post. 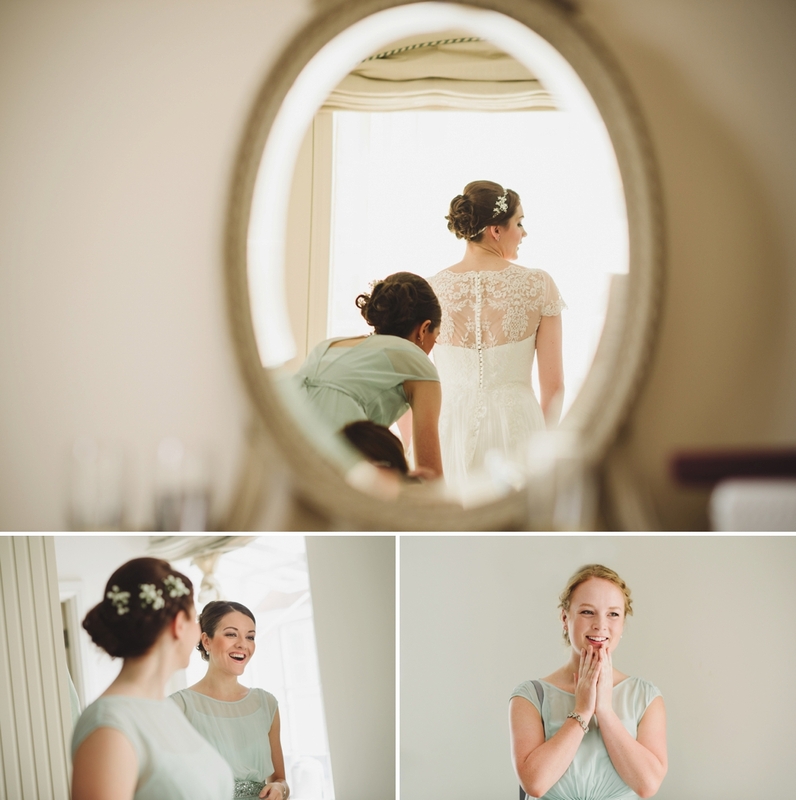 Anyway that’s enough of me writing for now, check out their photos and enjoy! 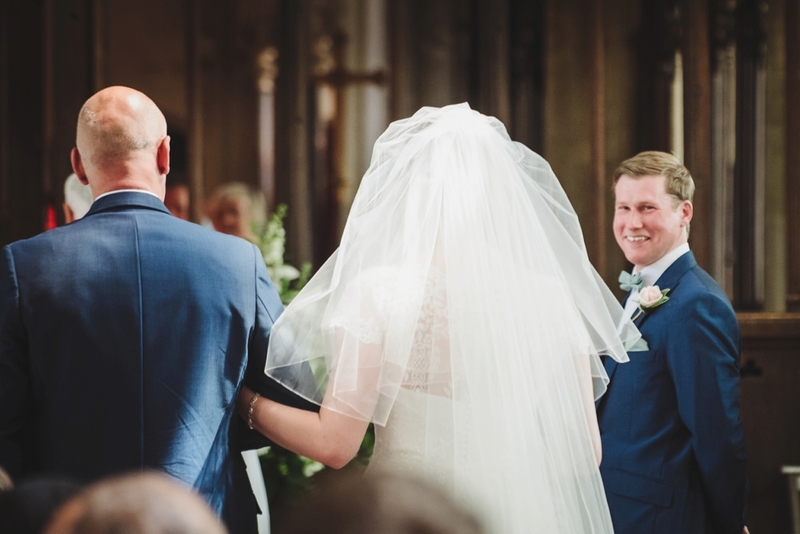 It was also a pleasure to work with videographer John of A Beautiful Day Wedding Videos for the first time at Lee and Grace’s wedding. 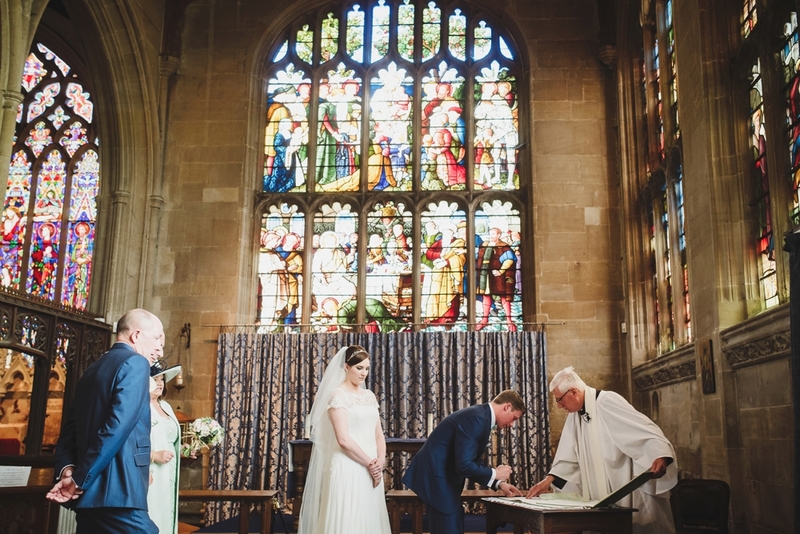 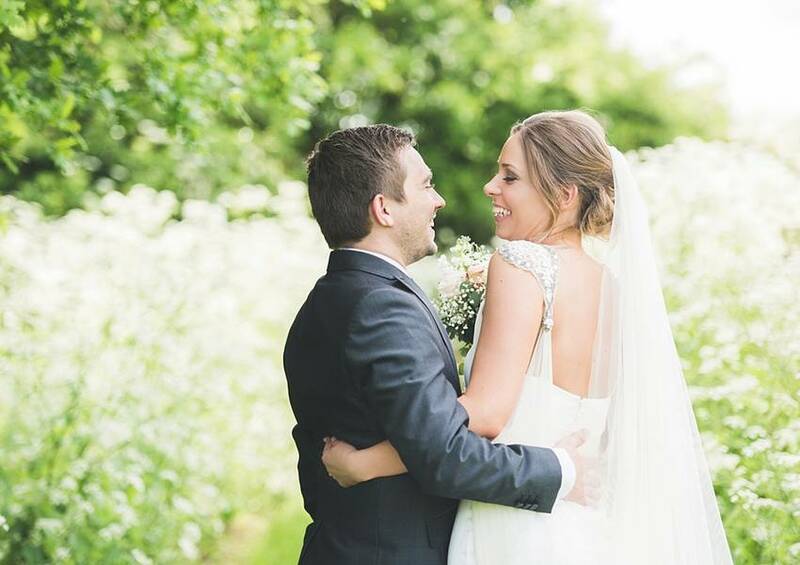 If you’d like to see his video trailer of Lee and Grace’s day do check out this link.